We tell you things as they are. If you want peace and quiteness, you won't find a better place in the country of Queen Margrethe II. 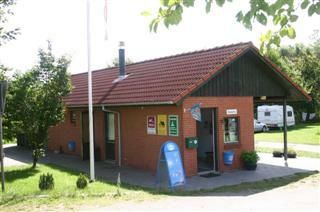 The campsite is situated in beautiful surroundings near the smal town Gummerup at the idyllic southwest Funen. 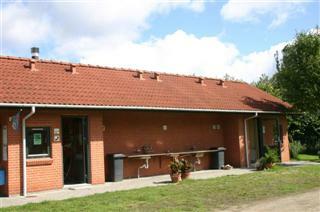 A real family-place with genuine camping atmoshpere next to the regional museum and green fields. Ideal startingpoint for hikes and bicycletours on the small, hilly roads. 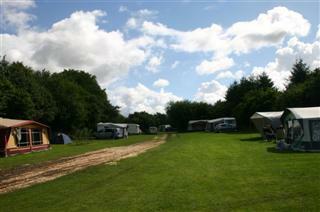 The campsite is lying between the two 'mountain ranges' Frøbjerg Bavnehøj (131m) to the north and 'The Alps of Funen' (128m) to the south. From the campsite it is only 10 kilometers to some of the best low water beaches on Funen. Free wi-fi is available at the reception! In 2019 the campsite is open from April 18th to September 15th.